We provide guidance and proactive support for public and private organisations, research institutions and universities, institutional and private investors from the Atlantic region wishing to engage in the implementation of the Atlantic Action Plan. 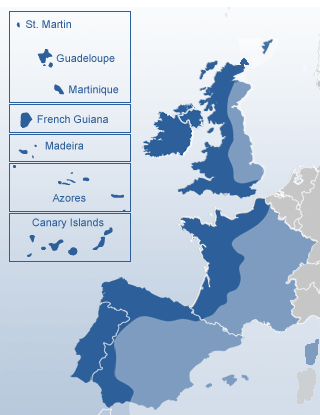 The Support Team consists of a network of National Units operating in France, Ireland, Spain, Portugal and the United Kingdom coordinated by a central office based in Brussels. To learn more about the Atlantic strategy and how the European Commission supports the implementation of the Atlantic action plan, click here.